Stand alone overhead MV lines connect a stand alone generation system to load (LV and MV). Main components of stand alone MV network systems are: generation system, step up substation, MV network, step down transformer post. The MV network can be overhead or underground type. 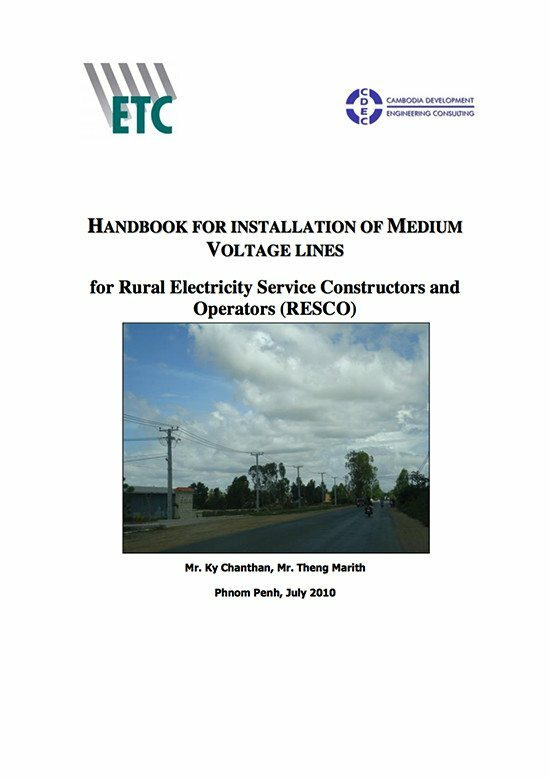 In this handbook only overhead line will be considered further. The figure below shows an example of stand alone MV networks. 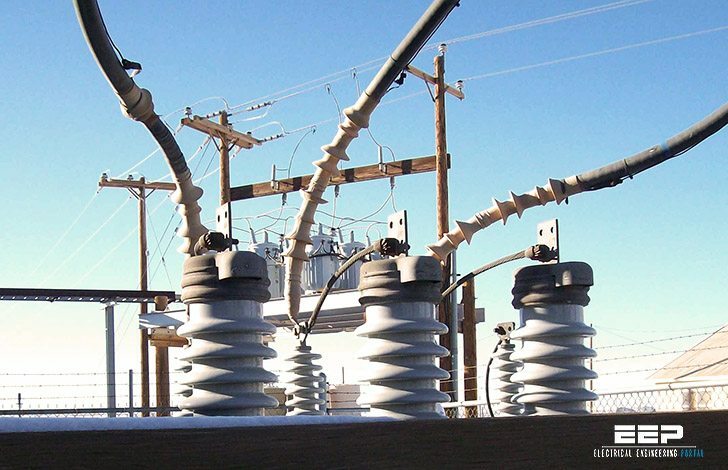 MV overhead line is built on supports, where the conductors are fixed on insulators. Supports may be towers, poles, or other structures such as steel, concrete or wood. The choice of a type of support depends on the terrain to be crossed and the size of conductors and equipment to be carried. Availability and economy, as well as atmospheric elements determine the choice of material. Poles may be wooden, reinforced concrete or steel frame type. Reinforced concrete poles are considered as most economic. As supporting structure, poles are characterized by its length (height) and strength. Cross sections of reinforced concrete pole are of rectangular or circle types. To comply with the clearance of overhead line in Cambodia, the length of 12m and 14 m are sufficient. The factory produces poles with strength of 3 kN, 5 kN, 8 kN and so on. Crossarms are usually made of galvanized steel. The usual cross-sectional dimensions for distribution crossarms are 0.09m by 0.1m. Their length depending on the number and spacing of pins. Heavier arms of varying lengths are used for special purposes, usually holding the heavier transmission conductors and insulators. 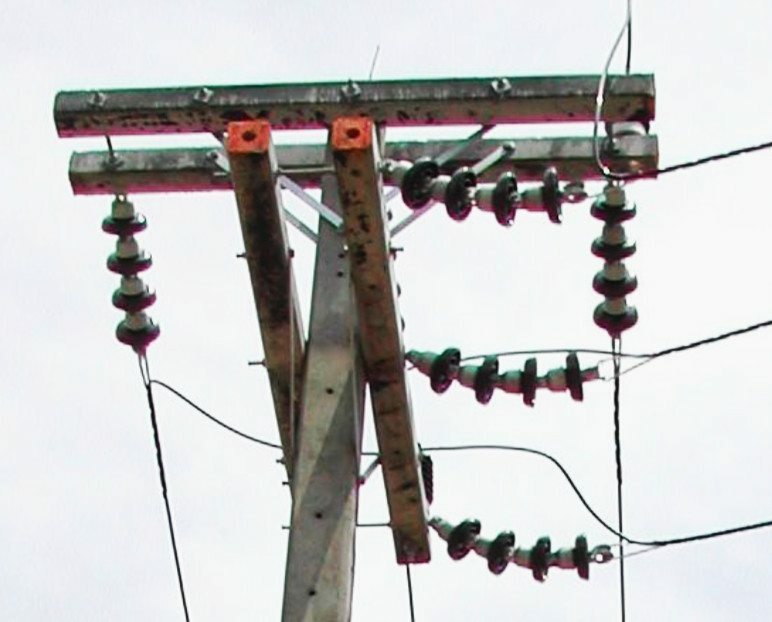 When a heavy loading is usually encountered, as at corner or junction poles, double arms, that is, one on each side of the pole, may be required. Note: For ABC type cable, the fixing structures are very simplified. The book is very interesting but I am falling to download it, how can I go about it?